WHAT: University of Illinois Springfield Health Services and Campus Recreation presents the annual Health & Wellness Fair. The event will offer health screenings, information and door prizes. The fair is free and open to the public, students, faculty and staff. WHEN: Wednesday, April 20, 2016 from 10 a.m. to 1 p.m. 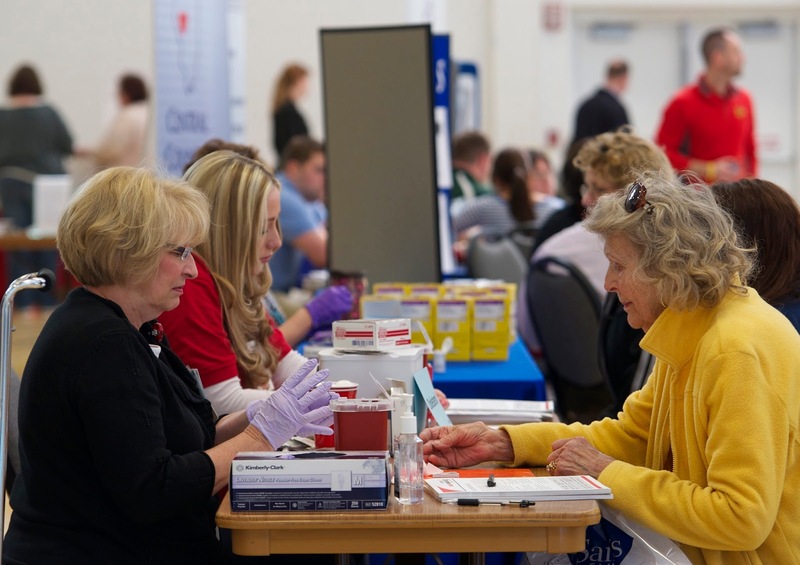 DETAILS: The Health & Wellness Fair will offer information on sexual & reproductive health, HIV/AIDS, HPV, organ and tissue donation, men’s and women’s cancer prevention, bone density, relaxation and stress reduction and healthy eating. There will also be cooking demonstrations and food samples. A free colonoscopy prescreening will be offered, as well as oral cancer, prediabetes, blood pressure, and sun exposure screenings. BMI testing will also be available. The Central Illinois Community Blood Center will also be hosting a blood drive from 10 a.m. to 3 p.m. at The Recreation and Athletic Center (TRAC) for those interested in donating or blood typing. For more information, contact Linda Nixon of UIS Health Services at 217/206-6676 or ltait2@uis.edu.